This image was a test to verify that the Sapphire 3D renderer for the next release of L3DT (v16.0X) will be ready for large terrain. This map was deliberately odd-sized, at 9024 x 14976 pixels, using heightfield resolution of 1m per pixel, and a texture resolution of 4x. The texture itself is 36096 x 59904 pixels, and is split into 8307 tile images, each 512×512 pixels. The view distance in the 3D viewer was a bit under 5 kilometres, and around 256k triangles were rendered per frame. 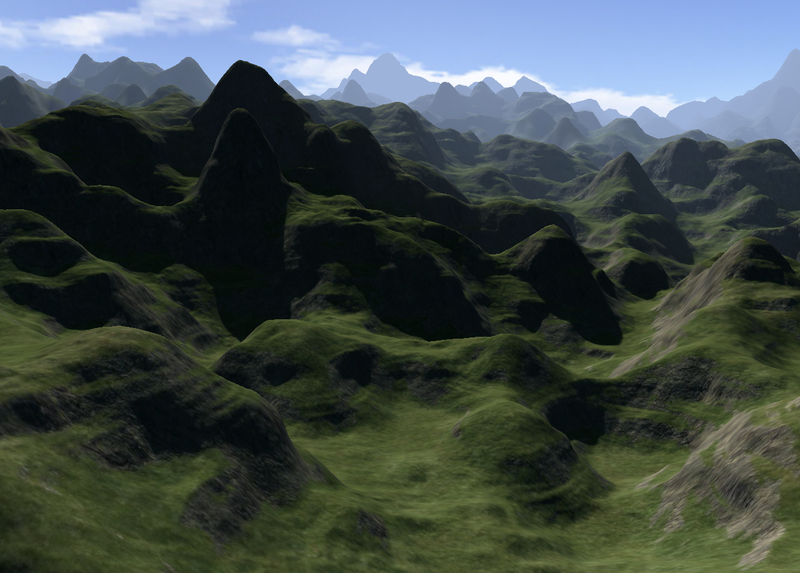 The mountains in the distance are not a backdrop; they're part of the 3D terrain. My ancient (pre-2010) hardware was pushing about 3fps.